Foster care. Transracial adoption. Special needs. Open adoption. 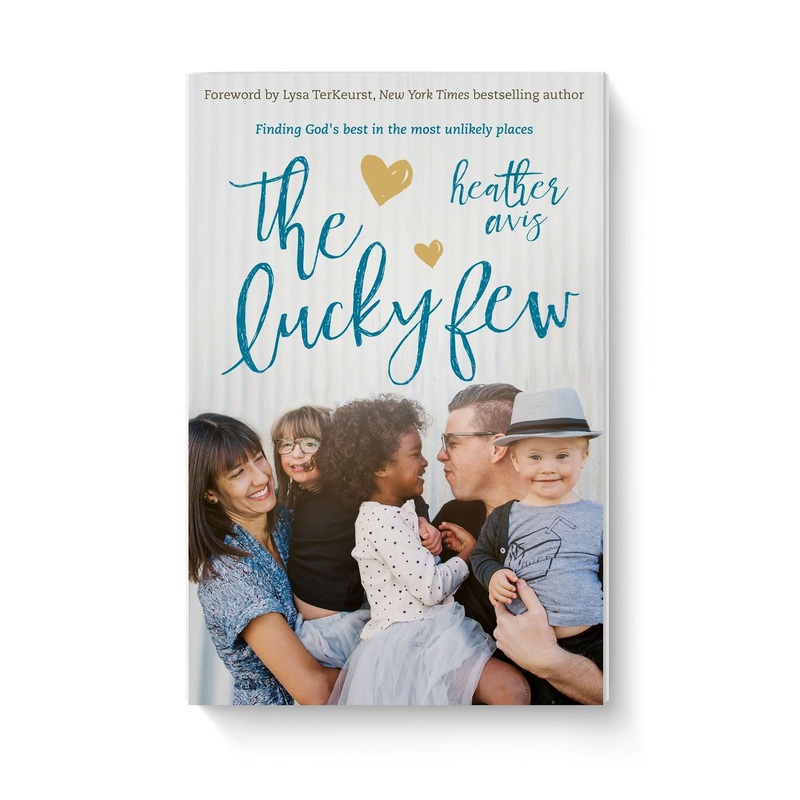 These are just a few of things author Heather Avis explores in her book The Lucky Few. I couldn't put this book down! The best way I can describe it? Refreshing. 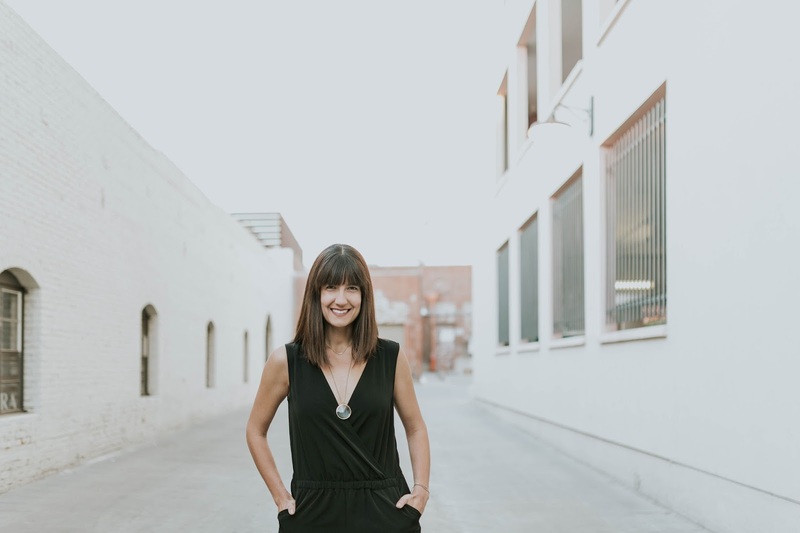 She doesn't hold back, sharing her experiences with her readers in a humble, authentic tone that has you tearing up one minute and laughing out loud the next. Rachel: What do others need to know about you? Heather: My family is made up of my husband Josh, my self and our three kids Macyn (9), Truly (6), and August (3). Josh and I have been married for 15 years and we are still crazy about one another! 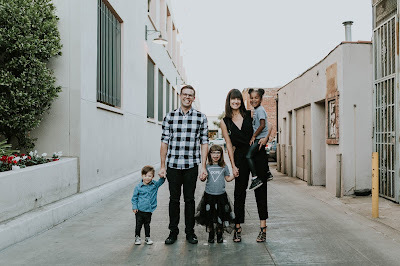 We adopted all three of our children and all of them were born in California, which is where we live. All three came home as babies and our son we got to bring home from the hospital at three days old. Our eldest and youngest have Down syndrome and our middle daughter is a different race than we are. We love to adventure and spend time with our friends and family. We always have something going. Doing life well and fully with others is important to us. It seriously does take a village! Rachel: Your book title is the first thing that caught my eye and lured me into buying it! So often those of us who adopt are told how lucky our kids are to have us as their parents. We are often regarded as saviors and superheroes. But truly, we, the parents, are the lucky ones. So tell me, why did you title your book "The Lucky Few"? And what does "luck" have to do with adoption? Heather: The lucky few is the idea that not many of us have a loved one with Down syndrome and not many of us answer the call to adopt, but those of us who do are few and very lucky! I think luck may have everything and nothing to do with adoption. I think piecing a family together in such a way really has a piece of luck about it. For example, my eldest's birth parents were born in Armenia and made their way to California long before she was born, and my middle daughter's birthmother was born in Guatemala and made her way to California long before my daughter was born and here they are as sisters. It's really kind magical. Rachel: Like you, when we initially decided to adopt, we held onto misconceptions, stereotypes (about adoption), and self-preservation. We wanted "quick and easy." But adoption is anything but "quick and easy," isn't it? For my readers who are considering adoption, what do you want them to know that you wish you would have known when you started your journey? Heather: I think this is almost a trick question ;). I've found the reality of life is we can't know what we don't know and we have to experience something to actually know it. So while there are lots of things I want to tell people considering adoption, things such as: be open to sooo much more than you already are; and birth families are a gift if you can have one; and let go of every single expectation you have ever had about becoming a parent; and it's going to be so freaking difficult; and it's going to be so freaking worthy no matter how difficult; and don't give up no matter what, the reality people can hear it but can't fully know it if they don't experience it. Rachel: You chose to adopt two children with special needs. I know that this scares a lot of people (and it scared you also initially, as you share in the book!). One of my adoption mottos that I share with my readers is "make decisions out of education, not out of ignorance." But special needs is a great unknown, no matter how well prepared and educated you are. What gets you through the dark days, the confusion, the fear, the uncertainty? And what is it REALLY like to parent children with special needs? 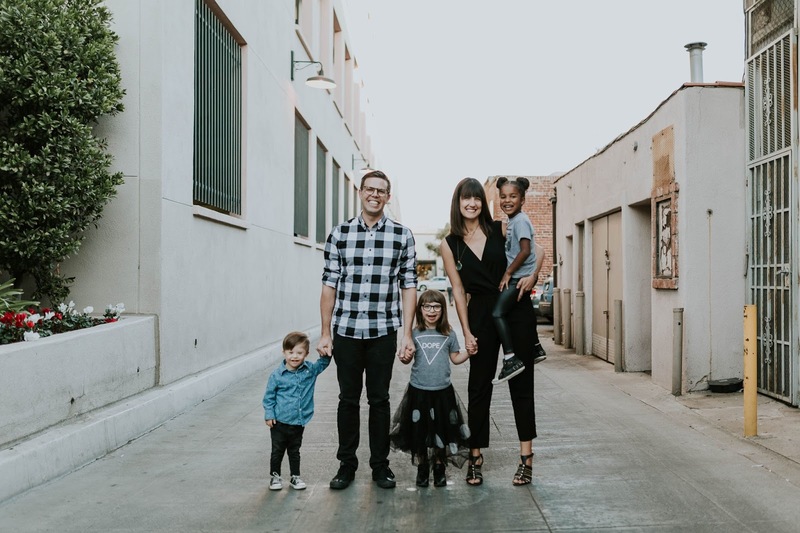 Heather: When we were deciding whether or not to adopt our daughter with Down syndrome I kept thinking, "I could give birth to exactly who she is." The truth is, we have very little control over who our kids are, adopted or not. If I was pregnant with a child with Down syndrome I would not have said no to her, so why would I say no to adopting a child with Down syndrome? Education is for sure helpful but there is no amount of learning or studying that can marry a mama's heart to her child's. And at the end of the day my kids with Down syndrome are my kids, and that's really all that matters. Any mama can tell you when your kid is your kid nothing else seems to matter. The truth is, when we brought our eldest daughter home we realized Down syndrome is a gift and that is ultimately what lead us to adopt a second child with Down syndrome. When I answer the question, "What's it really like to parent a child with special needs?" the people asking need to recognize I don't know any differently so for me, it's pretty "normal". There are some extras, such as weekly therapies for development and growth and so many additional doctor's appointments, most during the first couple years, but really, raising a child with Down syndrome is like raising a child. Parenthood is no joke, special needs or not! I also say the most difficult part of raising a child with Down sender has little to do with Down syndrome and everything to do with to world in which we live. The majority of systems in place are set up for people who do not have special needs. The world has yet to figure out to to create a space for people with Down syndrome to be exactly who they are and to be successful as that person. Currently my most difficult aspect of raising a child with Ds is the school systems and every other system in place. My kids are gold, the systems not so much. Rachel: What's next for you and your family? Will you adopt again? Write another book? Heather: We DO NOT plan on adopting again. We are at capacity and totally content. We think our family is done growing. That being said, when we set out towards parenthood we never thought we'd adopt at all, and especially not children with DS. So we know God knows best and we are always ready to step where He calls us. Hopefully that won't be towards another kid! But if it is, we'll step up for sure. Also, if someone were to hand me a brand new baby most likely I'm taking that kid! And I am currently working on my second book. Writing up a proposal and hopefully getting it picked up by a publisher. So we'll see!!! 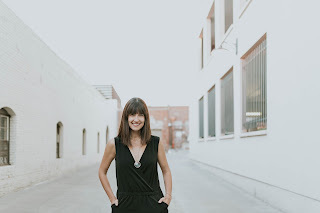 Want to connect with Heather? Start with her Instagram, Macy Makes My Day, which has over 110,000 followers!